Something tells us that sign isn’t ironic. There’s also the guy who set up the possibly-ironic Kid Rock For Senate website, as well as members of Rock’s own team, who apparently started to believe the hype about Rock’s candidacy after Rock released a statement on his website admitting it was a publicity stunt while refusing to unequivocally state whether or not he would run. Oh, and there’s the conservative super PAC that stated, “we’d be actually very interested in his candidacy,” on C-SPAN. They didn’t seem to be in on the joke. Still, Rock insisted that he was just stringing everyone along for laughs in this morning’s interview, saying, “It’s the worst advice I ever gave myself, but it’s been the most creative thing I’ve ever done. And I’ve gotten to see everyone’s true colors.” He also jokingly called himself “a Klan wizard” and referred to The New York Times as “a little bit gay,” which, to be fair to the gentleman from Michigan, is more presidential than senatorial. Anyway, after going back and reading some of the articles we wrote dismissing Donald Trump’s candidacy back in 2015, we’re a little hesitant to dismiss anyone’s political ambitions. 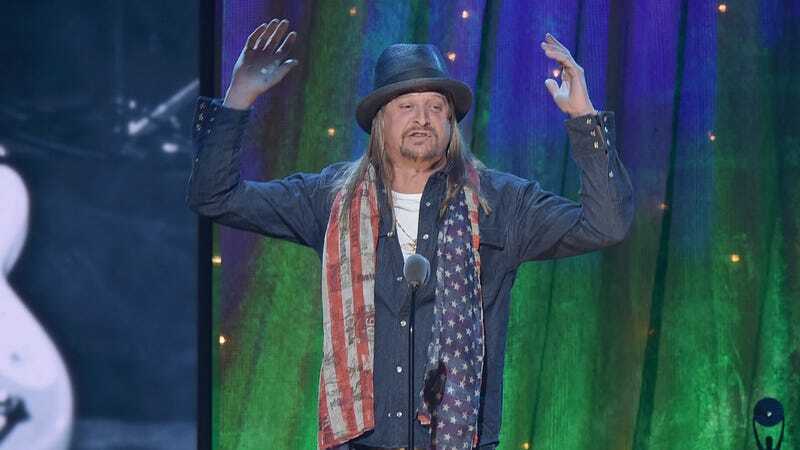 And even though it was a joke, the enthusiasm with which Republican voters and the Michigan GOP itself embraced the once-laughable idea of a Senator Kid Rock—“People know him. He’s an extremely strong brand in Michigan,” Michigan Republican national committeeman Robert Steele said in August—should be enough to give anyone pause.